Our personal amazonite, my go to when I’m in pain! Mary and I work with clients with back pain on a daily basis, but it really hit home when Mary “threw her back out” about month ago. If you have experienced this, my condolences, it’s a miserable experience that can take a lot of time and patience to recover from. According to some studies it is estimated a whopping 80% of Americans will experience low back pain. (UNC study 2009) And while this ensures job security for Mary and I as massage therapists. It’s miserable for all those who suffer. There are both physical and emotional (energetic) reasons for back pain. Pain in general can be highly emotional. Have you ever broken out in tears over a minor pain and wondered what was wrong with you? That pain is emotional, and is usually highly irrational! Pain and depression can also go hand in hand, especially chronic pain. If pain is interfering with your daily life, and your ability to work or have an active life, depression is understandable. The good news is that there are plenty of ways to improve your back health without surgery. So let’s just handle the physical back pain for the moment, since that one quite relevant at the moment. Why do so many people suffer from back pain? The major one is our lifestyle. From improper diet, to lack of exercise, and increasingly, poor posture. Staying properly hydrated is important as the discs between your spine are comprised mainly of water. And if you are dehydrated, your body will take water from where ever it can, and the spine is a high candidate for fluid loss. With the loss of fluids you start to see disc compression as well as other signs of wear and tear on the spine. Posture! This is where we feel like a broken record, it so extremely important! So many of us sit, whether at a desk or in a vehicle, we sit a lot. That’s why there is such a huge movement to standing desks, or desks with a slow moving treadmill. Sitting is bad for us! Sitting improperly can put a huge strain on our low back. Slouching while sitting can weaken the core muscles and put excessive strain on the lumbar spine. When sitting, you should always remember to put your behind, behind you. You should be sitting more on your pelvic bones, you know you are sitting correctly when your back is curved inward not rounded out like the picture. Exercise is equally important for back health. Sitting weakens our core strength and activities like Belly Dancing, Yoga, Pilates and strength training all can improve core health. If you have had a recent back injury or relapse, please consult with a Doctor before starting any exercise program. Physical therapy or private sessions with a trainer/instructor might be the best path for you. Here are some exercises to get you started. Even if all you can manage is a 15-20 minute walk, it will get you moving in the right direction. amazonite, malachite can all aid with pain relief. 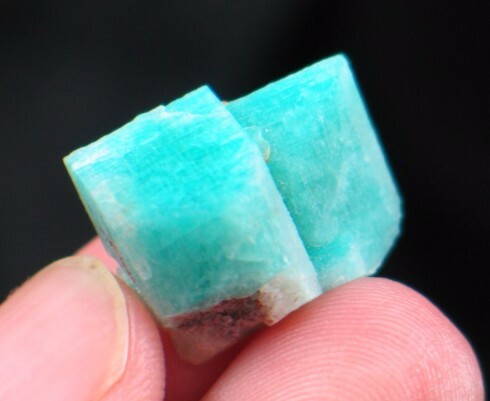 Amazonite aids with muscle cramps and spasms. It also helps to balance the emotions and reduce the feeling of fatigue, aiding with the emotional components of pain. 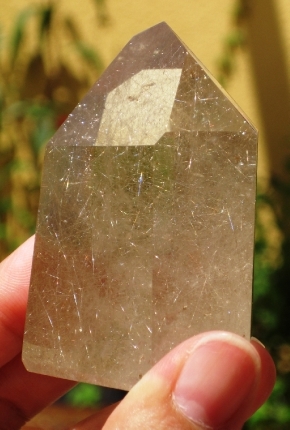 Rutilated Quartz works directly with the body’s nervous system. Rutilated quartz has a strong electromagnetic energy and stimulates flow through your spinal cord and balances your electromagnetic system. This helps to alleviate pain and numbness while aiding cellular regeneration. Earlier I mentioned the emotional component of back pain which can directly tie into insecurities, either professionally or personally. Traditionally back pain is associated with Root Chakra and and to some extent sacral chakras. These are the core of the energy systems that make us who we are. For now, we are going to focus on the root chakra. Smoky Quartz is one of my favorite crystals for the root chakra. Its energy is gentle yet comforting. I frequently sleep with smoky quartz, it helps me sleep better. Smoky quartz can be found in crystals or clusters, but are often found in beautiful complex elestial formation. These are amazing to use during meditations or journaling helping you to explore the root cause of your issues. silver sheen like the one pictured, snowflakes, rainbow and mahogany. Each one has its own unique way of working with the root chakra. 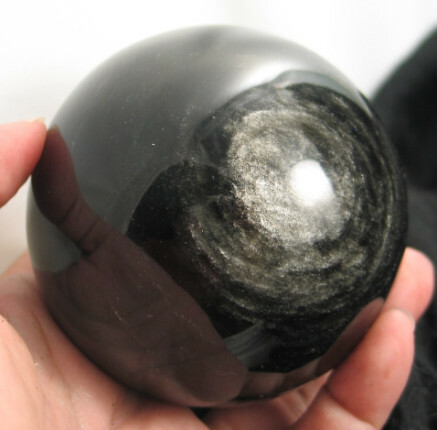 However, obsidian in general is very protective and can help shield you from negative energies. Please do not use any information in this post as substitute for professional care. If pain persists more than a week or is radiating down your legs possibly including numbness and tingling please see a professional right away. Please feel free to contact us if you’d like assistance in choosing the right stone or help creating a custom pouch of stones to carry. Mary and Jennifer co-own The Other Side of the Sun (TOSOTScrystals) an online crystal and mineral store. We are also Licensed Massage Therapists and Estheticians. We have been working with the crystal world since 2001.